Bitcoin is the leading digital currency measured by market capitalization as well as value. At the time of writing, one bitcoin is worth over $15,000 and its market capitalization is over $260 billion. 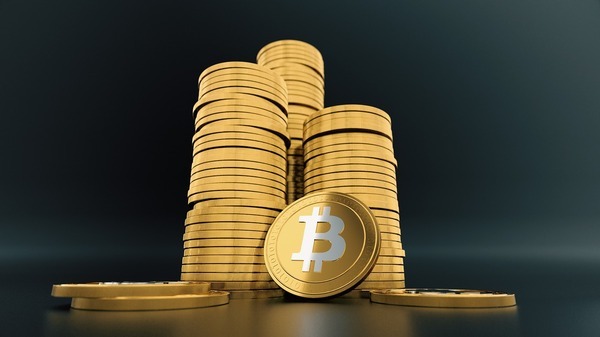 While bitcoin has managed to maintain its leadership position in the digital currency space, there are several bitcoin alternatives, known as altcoins, that are moving in on bitcoin in an attempt to take its place. In this article, you will discover the ten leading altcoins and find out why they are close competitors for bitcoin as well as why they may turn into potentially highly lucrative investments. Ether (ETH) is the second largest cryptocurrency after bitcoin and has a market capitalization of over $70 billion. Ether is the native digital currency of the Ethereum network. The Ethereum network is an open-source distributed ledger platform that enables users to create smart contracts and decentralized applications (DApps). Ether, however, is not a digital currency as such. It is not meant to be used to purchase goods and services online as is the case with bitcoin and litecoin, for example, nor is it meant for international remittances. Instead, ether is the currency that powers the Ethereum blockchain and is meant to be used by businesses and developers who are building applications on the Ethereum network as the network’s currency. Due to investors recognizing the potential of smart contracts and decentralized applications, the price of ether has rallied from less than one dollar during its ICO in 2014 to currently trade at over $750. On August 1, 2017, the bitcoin blockchain experienced a hard fork during which the original bitcoin blockchain was upgraded to implement the SegWit scaling solution. At this point, a group of bitcoin miners who disagreed with this update created a fork of the bitcoin blockchain to create bitcoin cash (BCH). Bitcoin cash differs from bitcoin as its blockchain allows for larger block sizes. This results in faster transaction times and lower transaction fees. As these were two selling points of bitcoin until its scaling challenges become evident, bitcoin cash has risen in value after the fork despite the substantial controversy surrounding the project. At the time of writing, bitcoin cash is trading at $3,000 per coin and has a market capitalization of $50 billion. Ripple (XRP) is the native digital currency of the RippleNet payment network, which allows financial institutions to make ultra-fast low cost domestic and international payments. The digital currency Ripple is used to pay for RippleNet transaction fees and needs to be kept as reserves in any wallet used within the network. Since Ripple is the currency used in RippleNet, it is no surprise that its value has increased substantially over the course of the year as Ripple has already managed to attract over 75 financial institutions to its payments network and is well-positioned to become one of the financial industry’s leading blockchain-based payment systems providers in the future. Since the start of the year, Ripple has rallied from $0.0062 to over $1.00 and now has a market capitalization of over $40 billion. Litecoin (LTC) was founded in 2011 as one of the first alternatives to bitcoin. The key difference between bitcoin and litecoin is that litecoin has faster transactions times and lower fees than its “older brother” bitcoin. Due to bitcoin’s scalability challenges, litecoin has managed to attract more users in 2017, which has driven its price up to new highs. The price of litecoin was also boosted when popular bitcoin wallet and exchange provider Coinbase added support for litecoin in April. Since the beginning of the year, the price of litecoin rallied from $4.50 to exceed $300 in mid-December and now has a market capitalization of over $15 billion. The IOTA blockchain project is developing a transactional settlement layer for the Internet of Things (IoT) by combining elements of blockchain technology with the Internet of Things. The IOTA project’s native currency, IOTA (MIOTA) does not use a full blockchain. Instead, it uses what is referred to as a Tangle. This solves the scalability issues faced by other blockchain projects, including bitcoin, as it requires the person who sends the funds to conduct verification of the transactions at the same time as funds are sent. This decentralizes the entire IOTA ledger and creates a zero-fee transaction system since no blockchain participants need to be paid to process transactions. Bitcoin still reigns supreme, but these altcoins show promise. Since IOTA hit exchanges in June, the price of this digital currency has rallied from $0.63 to over $5.30 in early December. Currently, IOTA has a market capitalization of over $10 billion. ADA is the digital currency of the Cardano blockchain project, which was launched in September 2017 by blockchain development company IOHK. 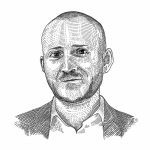 The Cardano project held an initial coin offering that lasted from September 2015 to January 2017 and raised around $62 million but was solely targeted at investors in Asia. The ICO funds are being used to develop an entirely new blockchain that allows for the creation of smart contracts and is thus considered a competitor to the popular Ethereum network. Since ADA tokens become tradable in October 2017, their value increased from $0.021 to over $0.58 in early December and its market capitalization grew to over $10 billion by Christmas. Dash (DASH), which stands for digital cash, in a popular digital currency due to its instant transaction and private transaction features. In other words, using Dash, digital currency users can send money instantly and obfuscate the transaction so that it cannot be traced back to the identity of the users. Additionally, transaction fees are much lower when using Dash compared to bitcoin. Dash has emerged as one of the most popular and most valuable altcoins and is considered a real competitor for bitcoin as the leading digital currency in the future. The value of Dash has increased from $11 to over $1,200 since the start of the year. 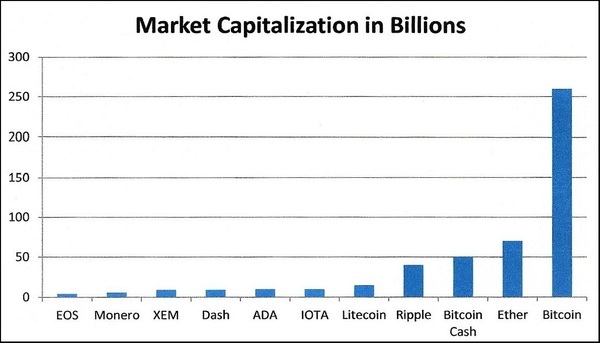 Currently, Dash has a market capitalization of over $9 billion. XEM is the native digital currency of the NEM blockchain, which was launched in 2015. NEM is an open-source distributed ledger project that has developed a peer-to-peer network that provides services such as asset creation, a naming system, and encrypted messaging as well as a peer-to-peer payment system. 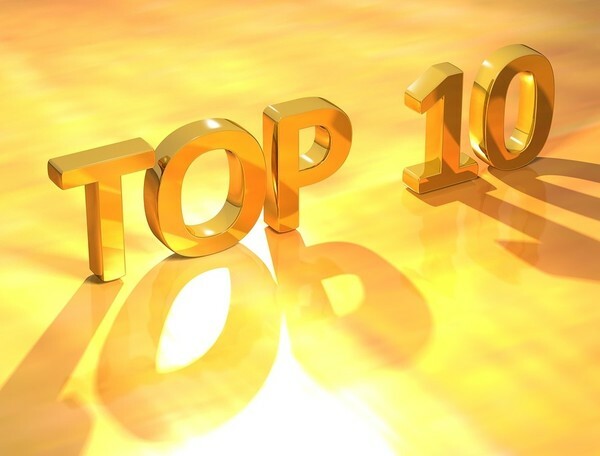 XEM has managed to move into the top 10 largest cryptocurrencies in terms of market cap in spring and has managed to maintain its top 10 spot since then. Year-to-date, the price of XEM has rallied from $0.0034 to over $1.00 and its market capitalization grew to over $9 billion. Monero (XMR) is widely considered as the most advanced privacy-centric digital currency. It allows users to send and receive financial translations completely anonymously. As bitcoin’s lack of anonymity has become more apparent in the past twelve months, privacy-focused digital currency users have started to switch their funds into anonymous digital currencies, which has pushed up the price of Monero from $15 to over $350. EOS is the digital currency of the EOS blockchain project which managed to raise over $185 million during its ICO in June 2017. The EOS project is considered by some to the “Ethereum of China” and has thus attracted a substantial amount of investment to develop its scalable smart contracts platform. Due to its focus on scalability, it is well-positioned to potentially overtake Ethereum, which has suffered from scalability issues throughout the year, and due to EOS’ position in China as the People’s Republic is considered a huge market for the adoption of blockchain applications. Since EOS has hit exchanges, the price of the digital currency has risen from $1.05 to over $12 and its market capitalization has grown to over $4.5 billion. While none of these altcoins are close to taking the top spot by market capitalization right away, each shows potential for growth. 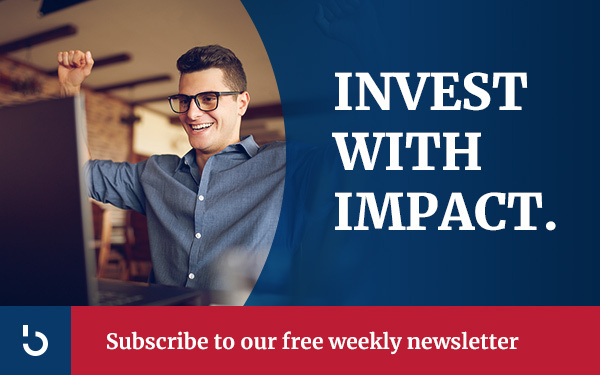 To learn more about bitcoin and altcoins and read insightful articles about investment strategies in this space, subscribe to the Bitcoin Market Journal newsletter today!